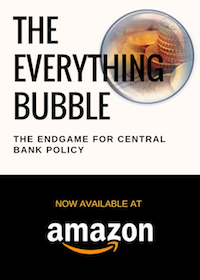 Since 2008 the financial media has been proclaiming that the US was in a “recovery.” This argument was used to justify the insane monetary policy of the Federal Reserve, which maintained ZIRP for seven years and spent over $3 trillion in QE. Well, it turns out there was no recovery to speak of when it comes to jobs. According to a report posted on Friday, an incredible 93% of ALL jobs created since 2008 were in fact… based on accounting gimmicks. Yes, 93% as in more than 9 out of 10. Source: Morningside Hill Capital Management. First of all, the “recovery” was made based on a spreadsheet, not reality. We’ve long suspected this. After all, how can the unemployment rate be below 5% when some 94 MILLION Americans are not working? Second of all, the US doubled its debt load during this time period. Previously I’d noted that when you account for all of the debt added to the public’s balance sheet form ’08 onward, the US had spent something like $900K per job created. But now, it turns out that even 93% of those so-called jobs were fake. So the US spent… $20 MILLION per job created. Yes. $20 MILLION. Per job. Created. 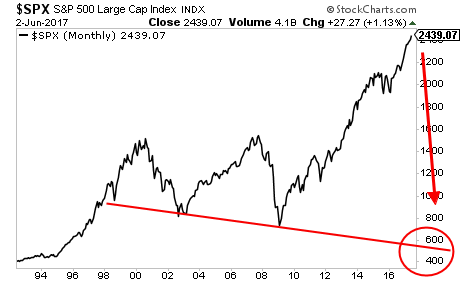 And that was a so-called recovery which prompted stocks to break out to new all-time highs! 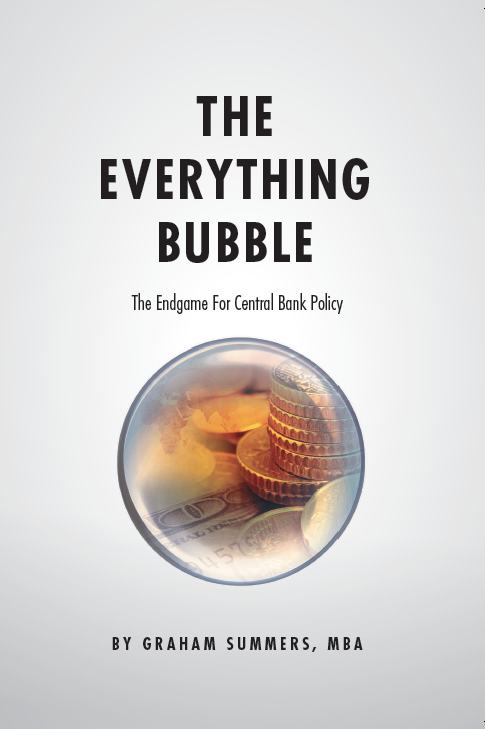 A Crash is coming… and it’s going to horrific. And smart investors will use it to make literal fortunes from it. If you’re looking for a means to profit from this we’ve already alerted our Private Wealth Advisory subscribers to FIVE trades that could produce triple digit winners as the market plunges. If you’d to join us, I strongly urge you to try out our weekly market advisory, Private Wealth Advisory. Private Wealth Advisory uses stocks and ETFs to help individual investors profit from the markets. Over the last two years, we’ve maintained a success rate of 86%, meaning we’ve made money on more than EIGHT out of every ten trades we make. Yes, this includes all losers and every trade we make. If you followed our investment recommendations, you’d have beaten the market by a MASSIVE margin. And we’re just getting started. When the market comes unhinged in the coming weeks we could very well see the largest investment gains of our career! To take out a 30 day trial of Private Wealth Advisory for just $0.98 today….